Although your digestive system regularly handles air and gas, it has no real ability to actually do anything with them. As a result, any vapors that get into your stomach or esophagi are not absorbed by the body and are simply expelled—and the body doesn’t particularly care which end it leaves by. When this expulsion happens through the mouth, the result is a burp or belches. While belching is perfectly normal, it can sometimes happen with more frequency than you’d like and can become uncomfortable or embarrassing. The good news is that it is possible to manage excessive burping by the use of a few simple dietary or lifestyle measures. The biggest cause of excessive burping is swallowed air. A number of different activities can either result in swallowed air directly or increase your chance of swallowing air. While a certain amount of air can pass through your system without issue, too much in too short a time gets expelled as a burp. Eating habits: Eating or drinking too quickly, taking large mouthfuls, using a drinking straw, or chewing with your mouth open results in swallowed air. Additionally, sucking on a hard candy or lollipop results in swallowing more than normal. Carbonated drinks or beer: Carbonation comes from carbon dioxide and gas is released without anywhere to go but out. Smoking: When you breathe in from a cigarette, you’re inhaling air as well as smoke. Dentures or braces: If dentures or braces are ill-fitted they can cause excess swallowing and lead to swallowed air. Gastric reflux: When stomach acid splashes up into the esophagus, there is a natural reaction to swallow as a means of clearing the substance, resulting in swallowed air. Nerves: Some people swallow air as a nervous habit, increasing their chances of having to belch. Having a cold: Technically, most nasal issues can fall into this category but the cold is appropriately the most common culprit. The cold and flu, among other illnesses, results in the excess production of mucus. You will find yourself swallowing more as the excess mucus drips down the back of your throat in larger quantities than normal. The extra swallowing also brings air down with it, hence extra burping too. Infection: Helicobacter pylori (H. pylori) are a type of bacteria that can infect the stomach and become responsible for a host of gastrointestinal problems. Although this bacterium does not cause belching directly, it can weaken the lining of the stomach and make you more prone to developing ulcers (erosions in the stomach lining), gastric reflux, gastritis, and other ailments that can result in more burping than normal. Malabsorption: Celiac disease, lactose intolerance, or other conditions that make it hard or impossible to digest certain substances can result in excessive belching as a result of gas, irritation, or bloating. Medication: Certain drugs used to manage pain or diabetes are known to cause excessive burping as a side effect. 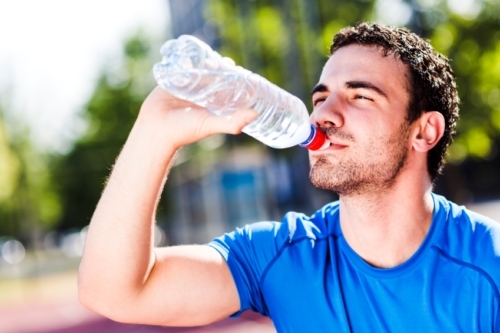 Drink more water and avoid carbonated or alcoholic beverages. If you do have a carbonated drink, try letting it sit for a bit or pouring it into another cup to disperse some of the carbon dioxide. Chew slowly and with your mouth shut. Make sure your dentures or braces (if any) are fitted properly. Consider antacids to help treat gastric reflux. Avoid spicy foods, especially if you have gastric reflux. Avoid foods that have a lot of air in them, especially “whipped” foods like omelets, ice cream, or whipped cream. Food enzymes like “Beano” or “Lactaid” can be used to avoid malabsorption symptoms. Activated charcoal can help mitigate the odor if your belching is strong-smelling. Avoid sudden changes in stomach temperature, such as from drinking a hot beverage immediately after a cold one (or vice-versa). Keep a food diary and look for any common foods that appear when you belch more frequently. Use herbs like ginger, basil, cinnamon, garlic, peppermint, clover, and thyme. These are part of a group called carminatives that soothe the digestive tract and can ease things like gas, indigestion, and bloating. If you are trying to deal with gas that doesn’t seem to want to release, try lying in a knee-to-chest position on the floor until it passes. If you suspect that your medication is behind your excess belching, talk to your doctor about lower doses or alternative options. If an ulcer is behind the burps then you will need to take a proton bump inhibitor and/or antibiotic and possibly need surgery, depending on the severity of the ulcer and the opinion of your doctor. If you think that the belching is the result of an undiagnosed malabsorption condition, you should get tested to be sure since these can result in important nutrient deficiencies if not directly addressed. Excessive burping is only a cause for concern if it is the result of an underlying gastrointestinal ailment. If belching does not provide relief from feelings of bloating or if you experience diarrhea, persistent or severe abdominal pain, bloody stools, or unintended weight loss, consult your doctor. You should also speak to your doctor if dietary or lifestyle changes don’t seem to be working. “Bloating, Belching and Intestinal Gas: How to Avoid Them,” Mayo Clinic web site, April 15, 2014; http://www.mayoclinic.org/diseases-conditions/gas-and-gas-pains/in-depth/gas-and-gas-pains/art-20044739?pg=1. “Preventing Gas, Bloating, Burping, and Hiccups,” WebMD web site, November 14, 2014; http://www.webmd.com/heartburn-gerd/tc/gas-bloating-and-burping-prevention. “What Causes Burping? 18 Possible Conditions,” Healthline web site; http://www.healthline.com/symptom/burping, last accessed December 14, 2015.